I’m not sure where it would rank in the all-time annals of series finales, but for a show centered around a romantic conflict, the final episode of “Dawson’s Creek” – “All Good Things…”/“…Must Come to An End” – found a wonderful way to have its cake and eat it too. A little backstory. Originally, the series was going to end with “Joey Potter and Capeside Redemption,” a fitting enough cap on the more Joey-centric college years. But then The WB reached out to series creator Kevin Williamson (“Scream,” “The Vampire Diaries”), who had left the show after the second season. Together, they crafted a finale that flung the characters five years into the future (a less common TV trope then), reuniting in Capeside for the wedding of Dawson’s widowed mom Gail. But while the gang had grown up, they were still stuck in some familiar patterns. Jack had found purpose as a teacher at Capeside High, but continued to face hurdles in his personal life as a gay man. Jen had matured, but her historically crappy taste in men had left her a single mother. Pacey had become a respected restaurant owner, but hadn’t been able to shed that last scrap of bad boy (his affair with a married older woman – randomly played by Virginia Madsen – is a deliberate echo of his teenage fling with Ms. Jacobs). Dawson had found success in Hollywood, mining his high school years yet again to write and produce a hit teen soap (opening the door for lots of fun meta humor), but immersing himself in the past had him feeling out of touch with the present. And Joey had a dream job and a dreamy boyfriend (hey there, Jeremy Sisto! ), but watching Dawson’s show, she clearly still felt connected to and conflicted about both her exes. And then Jen collapses at the wedding and everything changes. 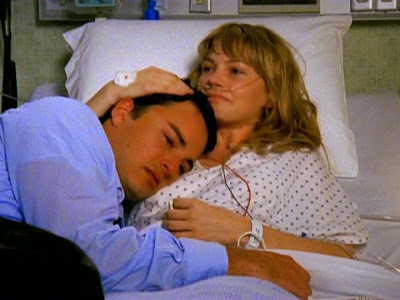 Later, Jen explains that she’s always felt like the instigator, that her stepping out of that cab and onto the creek in the pilot “rocked the delicate emotional balance of Capeside.” And history repeats itself here in the finale as the news that she’s dying – from a heart condition discovered during her pregnancy – sets off another seismic shift among her friends. They’re suddenly faced with the harsh reality that time isn’t unlimited, that they don’t want to wait for their lives to be over (heh, sorry, had to!) to figure out how to be happy. Jen dying is an undeniably sad ending for her as both a young woman and a mother, but it’s a stellar showcase for Michelle Williams. The scene where Jen, with Dawson’s help, films a video message for her daughter Amy, advising her to “love to the tips of your fingers,” is heartbreaking. As is the silent, still moment when Grams realizes Jen has passed away and (in one of many amazing moments Mary Beth Peil acted her heart out on this show) tearfully promises that she will see her soon. And given Jen’s journey was often one of feeling unloved, her having found true love with her child is at least something of a silver lining. Losing Jen is obviously hardest on Jack, but he doesn’t end the series alone. 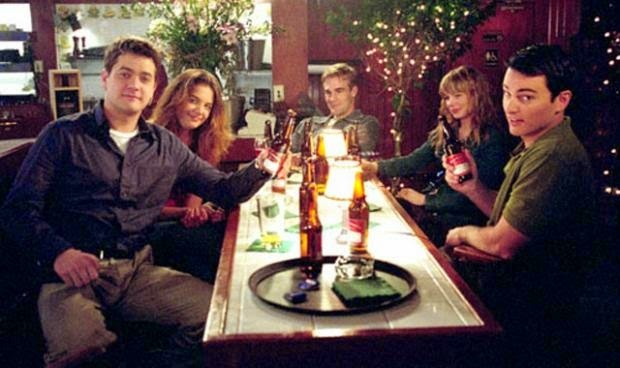 It’s revealed early on that Jack is dating Pacey’s brother Doug, a rather clever twist tying back to teases from the first three seasons. Their relationship is in crisis because Doug is resistant to coming out of the closet and, after all he’s been through, Jack doesn’t want to go backwards. But as Doug is forced to stand back and watch the man he loves suffer the loss of his best friend and struggle with what it means to be a father to goddaughter Amy, he realizes – as Joey will also – that there’s no time to waste on being afraid. And in a sweet scene, Doug swears to stand by Jack and Amy if they’ll have him, even calling Jack his boyfriend in front of an elderly couple who, amusingly, could not care less. It’s a development that feels real and right, even if it only exists in these two episodes. And then there’s the triangle itself. In an interesting and important moment, Joey reveals to a delighted and surprised Jen that there was never a choice to be made, that she’s always known whether it was Dawson or Pacey she was supposed to be with. Instead, it’s fear within herself – perhaps of hurting the other guy, losing them from her life altogether, or even of ruining the boys’ friendship again – that’s kept her from acting, not indecision. It’s a distinction I really love. Jen’s dying doesn’t spark an epiphany for Joey; it just gives her the push she needs to stop running away and start running towards. Going into the finale, I think most fans probably figured that the endgame couple on a show called “Dawson’s Creek” would be Dawson and Joey, especially with Williamson writing. They certainly toy with the idea, even dropping in a dream sequence wedding where Dawson and Joey hilariously list all the roadblocks the writers threw between them. When Joey, in their final scene together, tearfully tells Dawson, “You and me always,” it’s true. Their story echoes on, in Joey’s nephew using the old ladder to climb in Dawson’s sister’s window, in the season finale Dawson writes for his show that mirrors their first kiss. They’re soul mates. But a soul mate and a romantic love aren't necessarily the same thing. Jen and Jack even give voice to that notion earlier in the episode, when Jack declares that she’s his. And as Joey explains, her love for Dawson is rooted in the innocence of childhood. But what she feels for Pacey is adult and scary and very real. Watching the episode again, the hints were threaded throughout. In reopening her family’s business, Pacey was with her even without her. Jen has heart-to-hearts with both Pacey and Joey about the triangle, but not Dawson. Pacey steals a swoonworthy smooch in real time while the kiss with Dawson takes place in his imagination. So when the camera finally pulls back to reveal Joey’s choice, it makes perfect sense that it’s Pacey on the couch beside her. 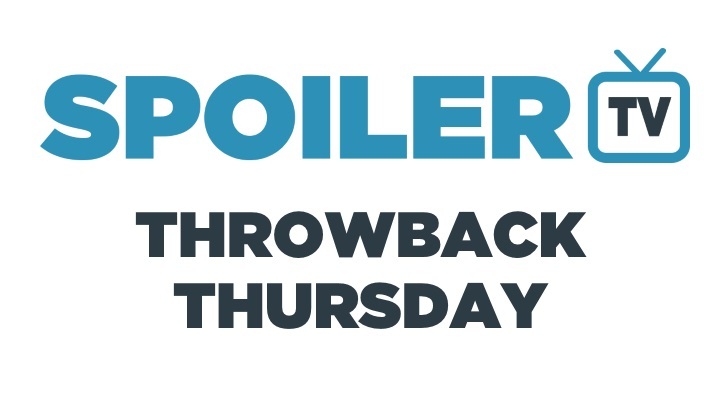 Thanks for reading my Throwback Thursday share. Now it’s your turn. What did you think of “All Good Things…”/“…Must Come to An End?” Were you happy Joey ended up with Pacey? Or were you rooting for Dawson and Joey? Tell your tale in the comments section.